Christopher Gessner has been named President and CEO of UCHealth University of Colorado Hospital. Photo by UCHealth. UCHealth is pleased to announce that Christopher A. Gessner will be the next president and CEO of University of Colorado Hospital on the Anschutz Medical Campus. Gessner will also have oversight for UCHealth’s other facilities in the metro Denver region including Broomfield Hospital, Highlands Ranch Hospital and numerous outpatient locations. Gessner, 52, is currently the president of UPMC Children’s Hospital of Pittsburgh and UPMC Western Psychiatric Hospital where he led initiatives to advance patient care, improve access for patients and elevate the overall health care experience. He led care delivery innovations including an array of virtual health services, development of an international pediatric telemedicine center and embedding behavioral health services in primary care settings. Gessner has a reputation for excellent relationships with physicians and other clinicians and for enabling teams with diverse backgrounds and skill sets to work across organizational boundaries and deliver exceptional performance. During his almost three decades in health care, Gessner has also held leadership positions at Highmark Blue Cross Blue Shield, Geisinger Health System and Guthrie Healthcare System. He has developed key partnerships with physician groups and expanded patients’ access to primary care and behavioral health. Gessner has master’s degrees in health care administration and business from the University of Pittsburgh and a bachelor’s degree in economics from the College of William and Mary. 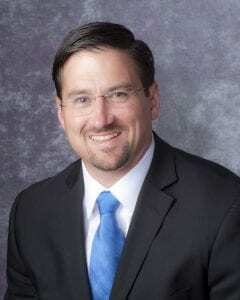 He will begin his role at UCH in late February. Dan Weaver is senior director of public relations and communications for UCHealth and can be reached at 720.848.7852 or via email.